San Andreas is directed by Brad Peyton. The screenplay was written by Carlton Cuse, with Andre Fabrizio and Jeremy Passmore receiving a story credit. The film stars Dwayne Johnson, Carla Gugino, Alexandra Daddario, Ioan Gruffudd, Archie Panjabi, and Paul Giamatti. The Rock, his ex wife and daughter become separated in what is most active seismic event of all times. Great camera and effects but also sanity in most physic issues made me enjoy cinema after long time and i am grateful on this. It probably wont win much awards all attention but i give this full recommendation. That moment on top of the wave, just whooo... brilliant! 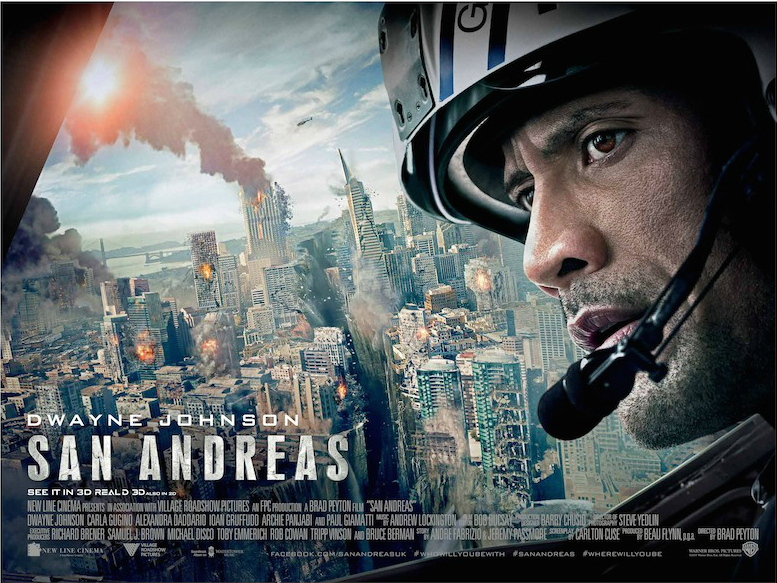 San Andreas if film of natural disaster all should see, it even has some real life tips and tricks on increasing survival odds. Destruction and chaos that comes from all the shaking, aftermath and tsunami is breathtaking. Do watch San Andreas! Dorcas Urbina: "Keep up the great work and have a fab week ahead!"